When you want protein and are tired of chicken breast, even when prepared creatively, don’t forget classic meatloaf. Sure, you can eat mom’s recipe with ketchup and a side of mashed potatoes to bring up childhood memories, but there are a lot of unique ways to remake this American staple food. As you’ll see, you can do things like swapping out the usual ground beef or pork with ground turkey for a lower-calorie version, and then using lots of veggies and seasoning to make up for the missing fat, or you can go totally out of the box with something like the salmon recipe, making a moist meatloaf with savory Asian flavors. It’s traditional to use stale bread crumbs to make meatloaf – a way to stretch a meager pantry – but a healthier take is to swap out the old bread for more nutritious whole oats instead. 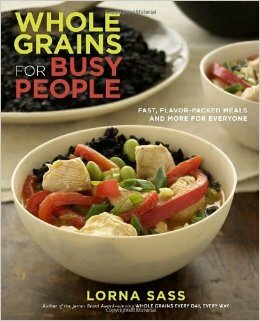 If you’d like to work more whole grains in your meal plans, I recommend you check out Whole Grains for Busy People by Lorna Sass, which is where this recipe came from. 1. Preheat the oven to 375°F. Use aluminum foil to line a broiler pan, and set the perforated drip tray on top. 2. In a small bowl, combine the oats and milk. Stir occasionally to coax the oatmeal into absorbing the milk. 3. Meanwhile, lightly beat the eggs in a large bowl. Stir in the onion, roasted red pepper, organic ketchup, parsley, Italian seasonings, garlic, and salt. Add the ground meat and the milk-soaked oats, and any excess liquid. Use your hands to mix well. 4. Divide the mixture in half, and shape it into two loaves, each about 3 inches thick. Place on the broiler pan, and arrange the strips of bell pepper on top, gently pressing them into place. 5. Bake for 15 minutes on the center rack of the oven. Rotate the pan, and continue baking for about 20–25 minutes, until the center is firm. To brown the tops, set under the broiler for a few minutes. The meatloaf is done when a thermometer inserted into the middle reads 160°F. If you’re a bigger fan of meatballs than meatloaf, this is the recipe for you. 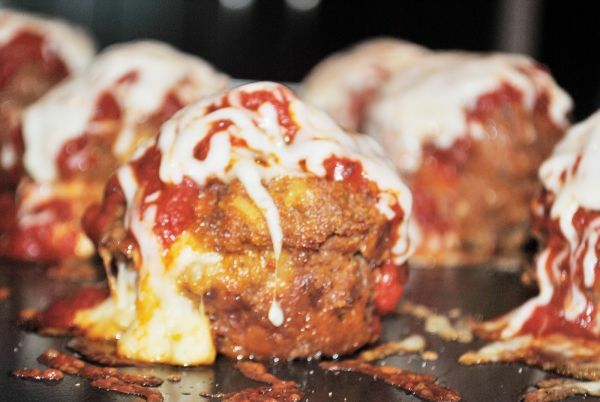 You’ll get small loaves the size of large muffins, and they’re topped with plenty of marinara sauce and mozzarella cheese. These have a nice presentation that works well when serving guests, but it also helps to talk little kids into digging into a delicious turkey meatloaf. 2. 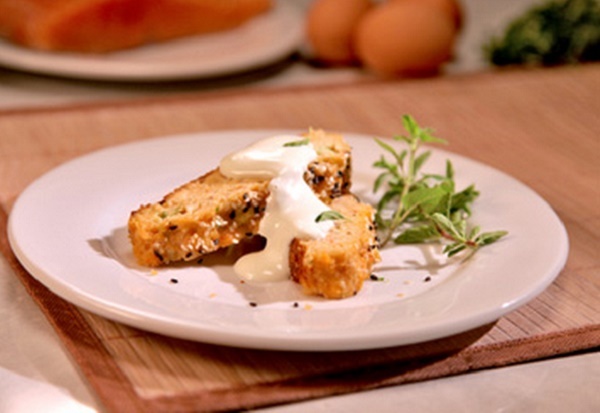 In a large bowl, mix the egg, bread crumbs, 1/2 cup marinara sauce, garlic, and rosemary. 3. Add the meat to the bowl, and mix all together with your hands. 4. Press half the mixture into a muffin tin to make about 6 (maybe 7) individual servings. Lay cheese in over the top, and cover with the rest of the meat mixture. 5. Bake uncovered for 35 minutes. Cover with remaining tomato sauce and cheese, and bake for another 5 minutes. 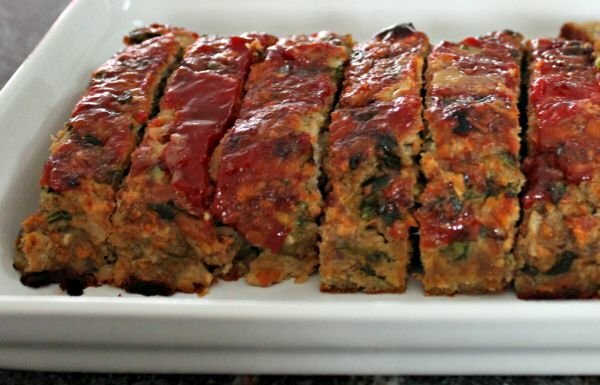 An easy upgrade for meatloaf is to stuff the middle with your favorite veggies or delicacies. This recipe from celeb chef Mario Batali uses prosciutto to add more depth to the meatiness of the dish, and the spinach and carrots make it more of a balanced meal so you don’t have to worry about a side dish. 1. Preheat the oven to 400°F. Line a flat work surface, like a table or counter, with a 15-inch-long piece of plastic wrap. 2. Boil salted water in a saucepan, and cook the carrots until tender, about 7 minutes. Use a slotted spoon or strainer to transfer them to a plate. Set aside. Next, wilt the spinach in the boiling water. Drain well immediately after the leaves wilt, and add to the carrots. 3. Mix the main ingredients in a large bowl: ground beef, ground pork, 2 cups bread crumbs, pecorino cheese, eggs, 1 tsp. salt, and 1/2 tsp. pepper. Mix all with your hands. 4. In a small bowl, mix the remaining 1/2 cup of bread crumbs with the flour, and sprinkle half of it over the prepared plastic wrap. Add the meat mixture over the plastic, and use your hands (plus the wrap, if it helps) to press it into a loaf about 1/2-inch thick, 12” x 10”. 5. Cover the middle of the meatloaf with half of the spinach, making sure there’s a perimeter of one inch around the sides. Lay half the carrots on top of the spinach, add half the prosciutto and sliced cheese, and begin to roll it up using the plastic wrap to guide the mixture. Start from the long end of the plastic wrap to make a long, narrow meat log. Tuck the filling into the ends, and discard the plastic wrap. 6. Lay out another sheet of plastic wrap the same size, and sprinkle with the last of the flour and bread crumb mix. Repeat the process with the other half of the meatloaf mix, and layer the remaining spinach, carrots, prosciutto, and cheese. Roll the second loaf, and drizzle each one with 2 Tbsp. of olive oil. 7. In the bottom of a broiler pan, add the rosemary sprigs and pour in the red wine. Cover with the broiler pan grate, and set the meatloaves on top about 2 inches apart. Bake in the center of the oven for 40 minutes. Turn the pan around, pour the water though the broiler grate, and continue baking for about 35 minutes. It may take longer; when done, the internal temperature should be 165°F. 8. Transfer the loaves to a carving board, and then loosely cover them with aluminum foil. Discard cheese from the bottom of the pan, and strain the juices in the broiler pan into a small saucepan. Bring to a boil over high heat until reduced to about 1 cup. Pour the sauce into a small serving bowl, and season to taste with salt and pepper. 9. Slice the meatloaves about one-inch thick with a serrated knife to display the beautiful prosciutto and spinach stuffing. Serve with the pan juices. If you’re like me, you might want to pour tzatziki sauce on everything, especially when the weather is warm. It’s light and refreshing thanks to fresh cucumber but is also a great way to get more yogurt in your diet. 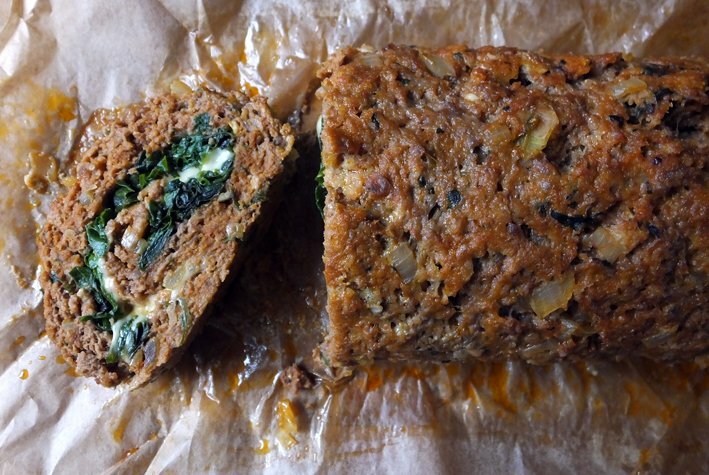 Chances are you’ve never tried stuff meatloaf with it, though, and you’re missing out. The tzatziki soaks into the meatloaf to keep it moist and infuse a garlicky dill flavor. 1. Make the tzatziki sauce ahead of time, mixing the yogurt, lemon juice, minced garlic, cucumber, dill, and salt together in a small bowl. Cover and store in the fridge until serving, ideally overnight. 2. Preheat the oven to 325°F. Prepare a baking sheet by lining it with parchment paper, and set aside. 3. In a medium skillet, heat the olive oil. After a couple minutes, add the onions, salt, and pepper. Sauté and stir until the onions become translucent. It’ll take about 15 minutes, keeping the pan over medium-low heat so the onions cook but do not brown. When about finished, add the spinach, and stir until warmed and slightly wilted. 4. In a large bowl, make the meatloaf mix by combining the onions, spinach, ground turkey, coconut flour, chicken stock, egg, and Worcestershire sauce. 5. Divide the meat mix in half, and place half on the parchment paper-lined baking sheet. Form into a flat rectangle, pressing it to be about an inch thick. Layer feta cheese over the top, and gently press it into the mixture. Add the remaining half of the meat on top, and shape into a loaf. 6. Bake for about an hour, up to 75 minutes, until the internal temperature reaches 160°F. Slice, and serve with the tzatziki sauce on the side, or drizzled over the top of each slice. Meatloaf in a Crock Pot? Why not? It comes out juicy, and the slow cooker makes it easier to experiment with infusing unique flavor combinations like blue cheese and berries. If you have fresh berries on hand, you can try adding those to the slow cooker instead to get the most of the ripe, juicy fruits of summer. 1. 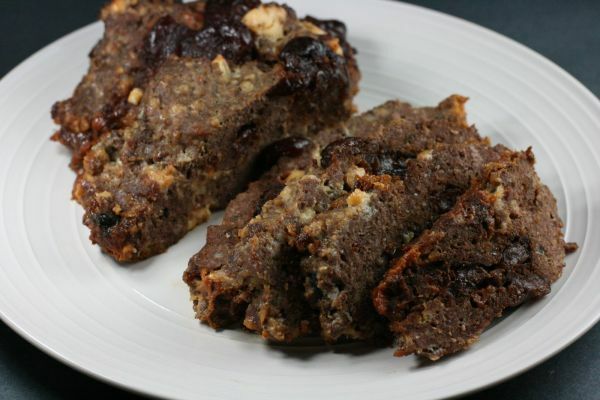 Make the meatloaf mix in a large bowl, combining the ground meat, dried cherries, bleu cheese, egg salt, pepper, onion powder, and bread crumbs. 2. Grease the inside of a 4-quart slow cooker (or larger) with cooking spray or cooking oil. Add the meat mixture to the middle, and form into a round loaf. 3. Cover, and cook on high for 4 hours, or low for about 8 hours. The meatloaf is done when it is cooked through and browned on the top and sides. 4. Use two spatulas to gently life the meatloaf out of the slow cooker. Let it cool on a cutting board for 15 minutes before slicing and digging in. Of course you can get a big helping of animal protein with meatloaf, but that doesn’t mean you can’t mix a serving or two of fresh vegetables into the mix as well. This recipe uses carrots, spinach, and onions – the go-to veggies for almost any meal – but you can dice up and mix in whatever is fresh from your garden or the local farmers’ market, including shredded summer squash, juicy beets, or peppers. 2. 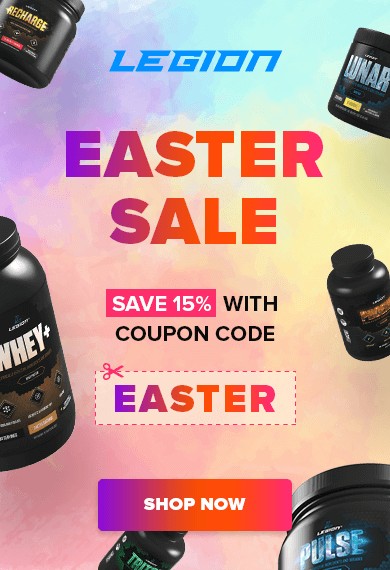 In a large bowl, mix together the ground beef, spinach, oatmeal, onions, carrots, egg whites, milk, Italian seasoning, pepper, and any other veggies you have prepped and on hand. Mix gently, preferably with your hands, until everything is just combined. 3. Shape the meatloaf in a large pan, such as a 9” x 13” baking dish or a deep broiler pan. Make the mixture into about a 9” x 5” rectangle. 4. Bake 45 to 50 minutes on the center rack of the oven. Once the meatloaf has reached medium doneness (160°F) the juices will run clear. 5. Let the meatloaf stand for about 5 minutes before slicing into it and serving. And even though there’s a helping of veggies in the meatloaf itself, you can get more with a side of salad or sautéed green beans. Since meatloaf is primarily made of meat, it’s hard to do anything unique with a recipe besides change the seasonings and toppings, like cheese. Well, this meatloaf recipe from Iron Chef Cat Cora uses salmon instead of beef, pork, or turkey for a totally original take on a classic American dish. It’s healthy, it’s delicious, and the meatloaf-averse (like little kids) may not even realize they’re happily shoveling in forkfuls of a meal that they usually think of as unappetizing. 2. Cut the salmon fillet into several large pieces, and place in the food processor. Pulse about 6 times, add the smoke salmon, and continue pulsing 4 or 5 more times. The fish should still have some texture, not be totally smooth. 3. In a medium bowl, mix the salmon, scallions, soy sauce, sesame oil, garlic, ginger, bread crumbs, and eggs. Mix with your hands until well combined. 4. Oil a large baking pan. Shape the salmon mixture into a large loaf, about 8” long, 3” wide, and 2” tall. Place it on top of the baking sheet, and cover with the black and white sesame seeds. Lightly press them into the top. 5. 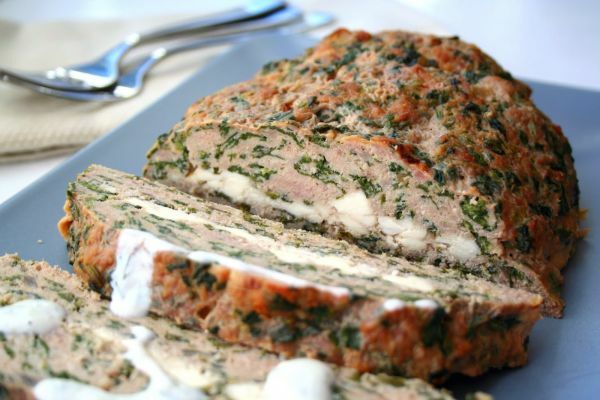 Bake the salmon meatloaf for 20–30 minutes, until the top feels springy to the touch. Remove from the oven, and let cool while preparing the sauce. 6. In a small bowl, whisk together sauce, adding a little bit of wasabi to the mayo and tasting to control the spiciness. Stir in water 1/2 tsp. at a time to create the desired consistency. Fold the chives into the sauce, and serve it with the meatloaf. 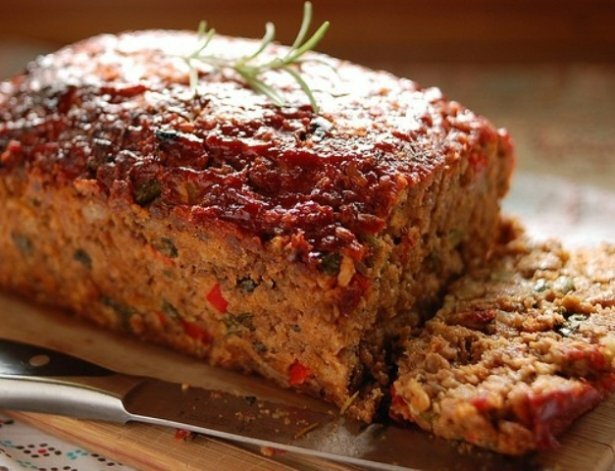 What did you think of these healthy meatloaf recipes? Have anything else to share? Let me know in the comments below!